I feel a bit silly sharing this recipe, just because it might be the easiest thing ever to make. But it actually took me two years to figure out how to make roast potatoes taste epic; for the longest time I thought potatoes were just boring. 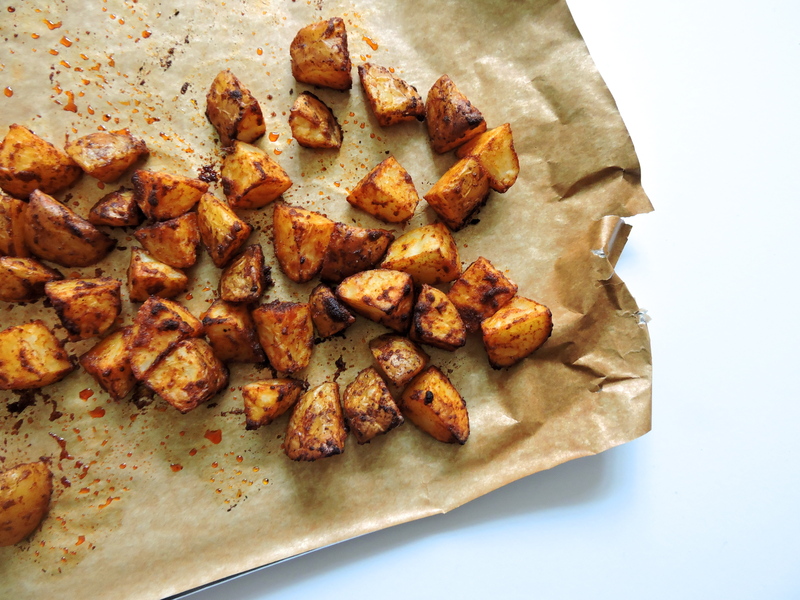 So, in the hope of saving some of you guys two potato-hating years, here’s my recipe for super duper easy roast potatoes. Oh, and they’re vegan, duh! The main ingredient that makes these great is definitely the smoked paprika; it’s my new favourite spice. You can play around the with your own spices to see which combo you like best! Preheat your oven to 200°C. Line a baking tray with baking paper and set aside. Wash your baby potatoes thoroughly, but leave the skin on. Cut your potatoes into small pieces (around 6 pieces per potato) and place them in a large bowl. To the bowl add your olive oil, onion salt, smoked paprika and black pepper. With a spoon, combine all the ingredients till all your potatoes are coated evenly. Take your time doing this; you want to make sure the spices are all evenly spread. Your potatoes should look red, due to the smoked paprika, once you’re done. Transfer your potatoes to your baking tray and spread them evenly. Bake for 25-30 minutes; you can tell they’re done once the edges look crispy. Yes, that’s the end of the recipe, they’re really that easy. But sometimes easy is good; I love making these after a busy day when I don’t want to put in too much effort but still want a great meal. Let me know if you try these out; I’d love to know what you think! Why I Went Back To University. I love to try this one..looks Yum! 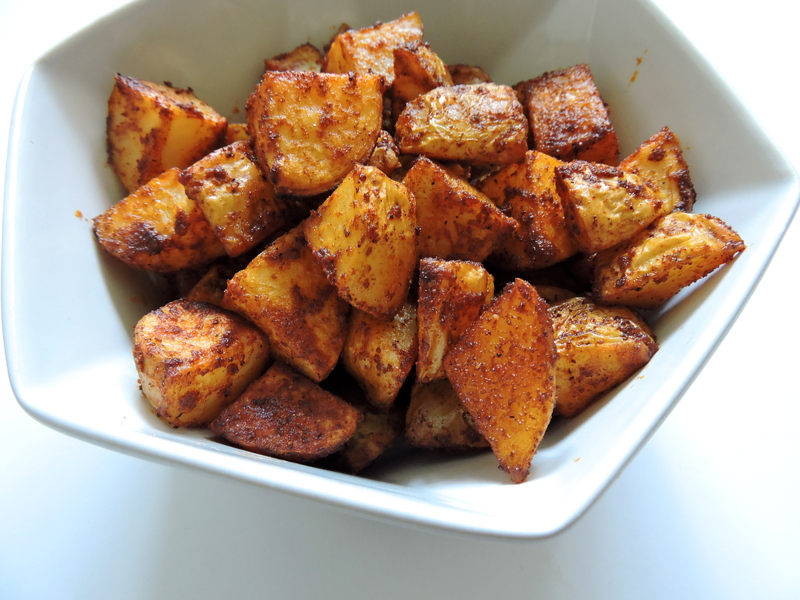 .my husband loves potatoes and I have been looking on how to make my own roast potatoes since I don’t like fried all the time.Thanks for sharing..one thing is that the ingredients are already in my cupboard and it’s easy to make..